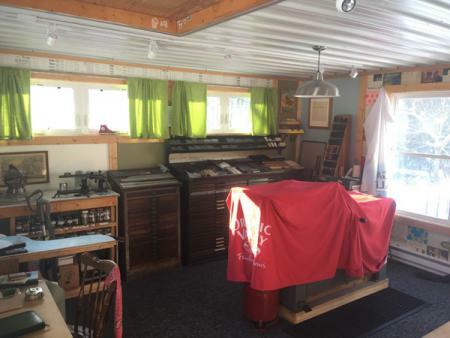 I am the proprietor of a private press in Wisconsin, and always enjoying meeting and visiting with other printers. My wife and I are planning a trip to Great Britain, to include England and Scotland, in mid-June 2018. We are bringing our daughters, ages 12 and 15, and trying to show them how to travel on a shoe-string budget; using a rail pass in England, renting a car in Scotland, and staying in hostels, etc. I am hopeful to get into the Oxford Fine Press Book Fair in the future, and if nothing else, would like to make some attempt to visit like-minded folks on this trip, if it fits into the tight itinerary (not everyone in my family shares my passion!). I had a thought that maybe there would be a printer over there with beds to let, or maybe there is some kind of letterpress printing institution worth visiting somewhere on the island. This forum seemed like the right place to open the conversation: Any tips for a private press man traveling with his family in Great Britain? 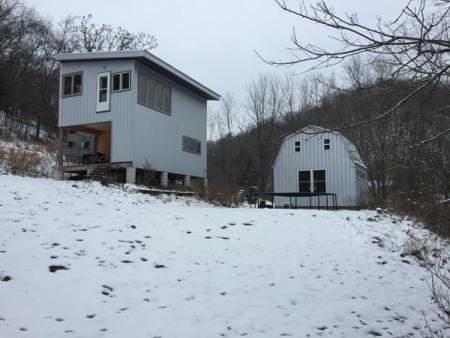 Just the same, I happen to have an empty cabin next to my shop in the country, here in southwest Wisconsin. Sleeps 4-6 (2 twins beds, 2 doubles), wood heat only, electric (fridge, stove, oven), sink but no running water, outhouse. If anyone would ever happen to be in the area and needs a place to stay, I’m sure we could work something out. Please contact me if you would like to strike up a conversation regarding this matter. Sorry, can’t help you with the lodging, but I must say that first step out of your cabin looks like a doozy! Can’t help you directly, but in past trips to England, the local Tourist Information Centres were immensely helpful in finding inexpensive lodging. Just tell them where and when you’re headed and they’ll find an appropriate place. Im a UK resident and I’ll try and help as best I can. For economic lodging try air bnb, these are private individuals renting out from a single room to a full house. For hostels most cities have privately run hostels, try booking.com for each city / town it gives you a pricing option. Or, try YHA (Youth Hostel Association) which have family rooms. Accommodation in the big cities (London, Oxford, Edinburgh) is expensive even for hostels. As for visiting, in Scotland I’d recommend Robert Smails Printing Works in Innerleithen, south of Edinburgh. In North East England, Beamish Open Air Museum at Stanley near Newcastle, they have a working print shop. Then in Midlands you have the Ironbridge Gorge Museum at Blists Hill, they have a print shop too. If youre down in the South of England, the Amberley Chalk Pits Museum near Brighton has a working print shop with demonstrations and volunteers there at weekend. In London, there is St. Brides, the famous institution (check for hours or needing an appointment. That should give you something to go at! Check out Ben Brundells Website www.britishletterpress.co.uk for more places and events that you may tie into. Id recommend rail travel in England as our roads are VERY BUSY! You’ll find Scotland easier to drive round.